BAGSMART Rücken Camera Backpack Photo Rucksack Review | Photographer Dustin Abbott checks out a nicely made, moderately priced photography gear backpack designed for those that want to safely transport their gear with some flair and versatility. 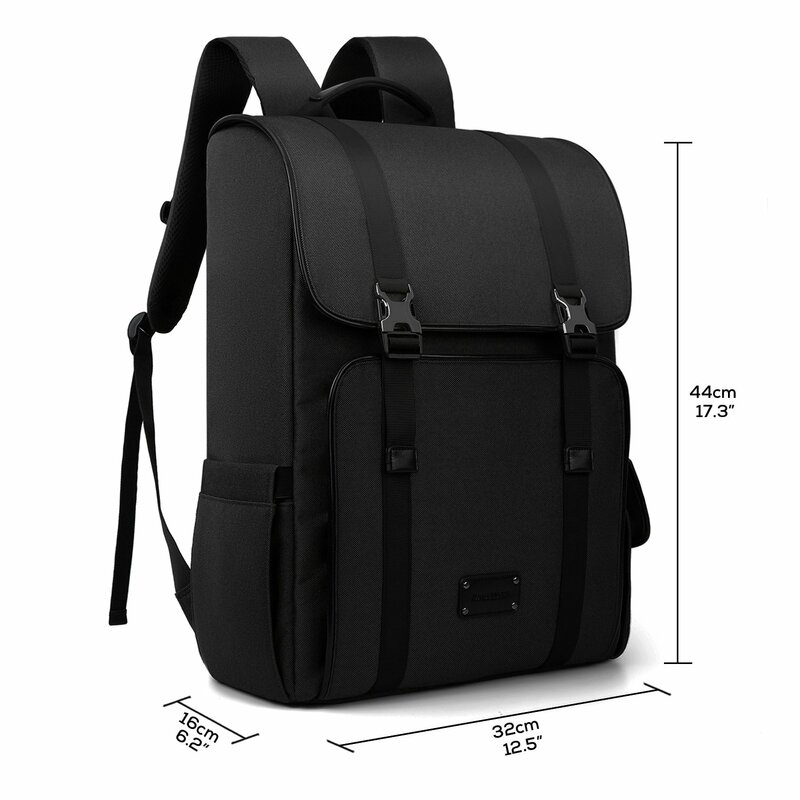 Is the Rücken the backpack for you? 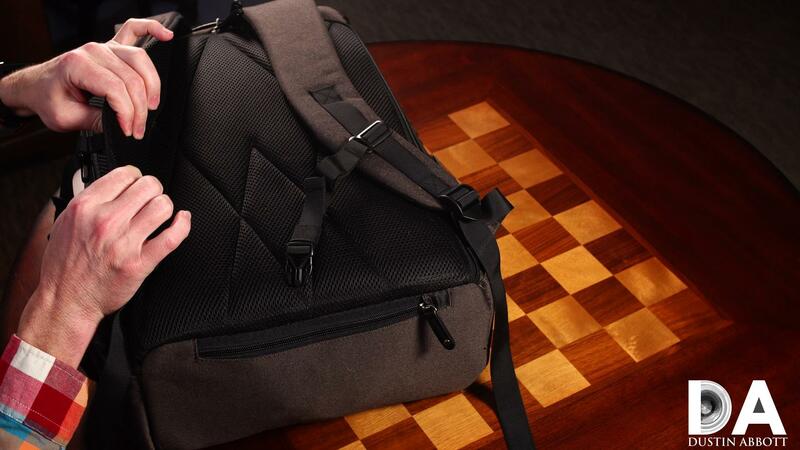 Check out my video review below for a more thorough look at the BAGSMART backpack, or read on in the mini-review below. Scenario 1: You are a photographer who carries your gear in a backpack with the intention of easily accessing it to shoot as you move along. You want a backpack with easy access to your gear. Scenario 2: You are a photographer who is primarily concerned with transporting your gear in a safe, efficient way and are concerned about securing your gear. 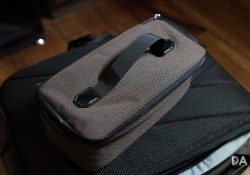 You will primarily use your gear when you arrive at your destination. If you most relate to scenario #1, then the Rücken isn’t the bag for you. 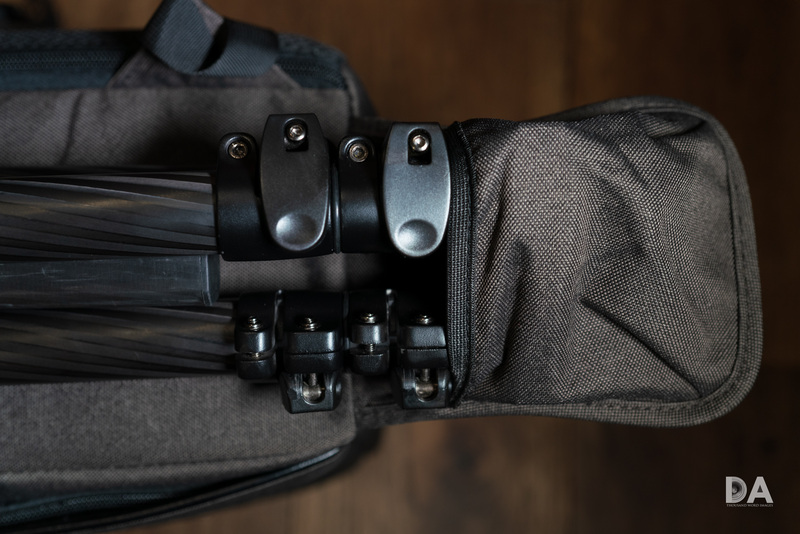 The way that it holds your gear is great for security and organization, but it isn’t designed for easy access to either you or a thief while being worn. 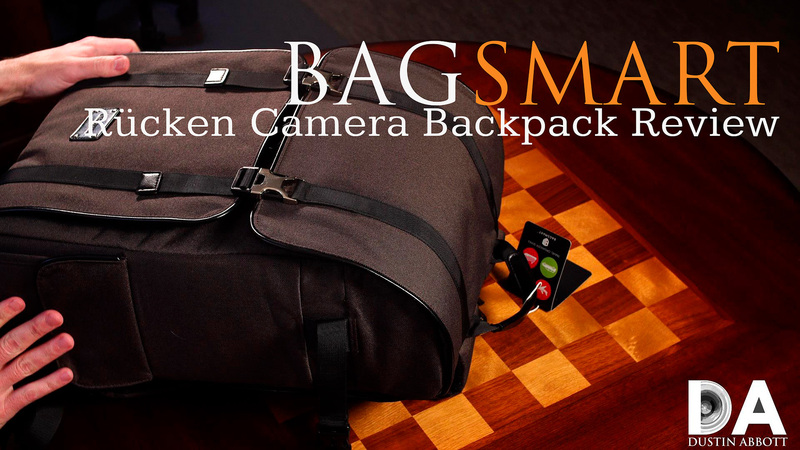 If you relate to scenario #2, though, then the BAGSMART Rücken could be a great choice for you in the near $100 category of camera backpacks. 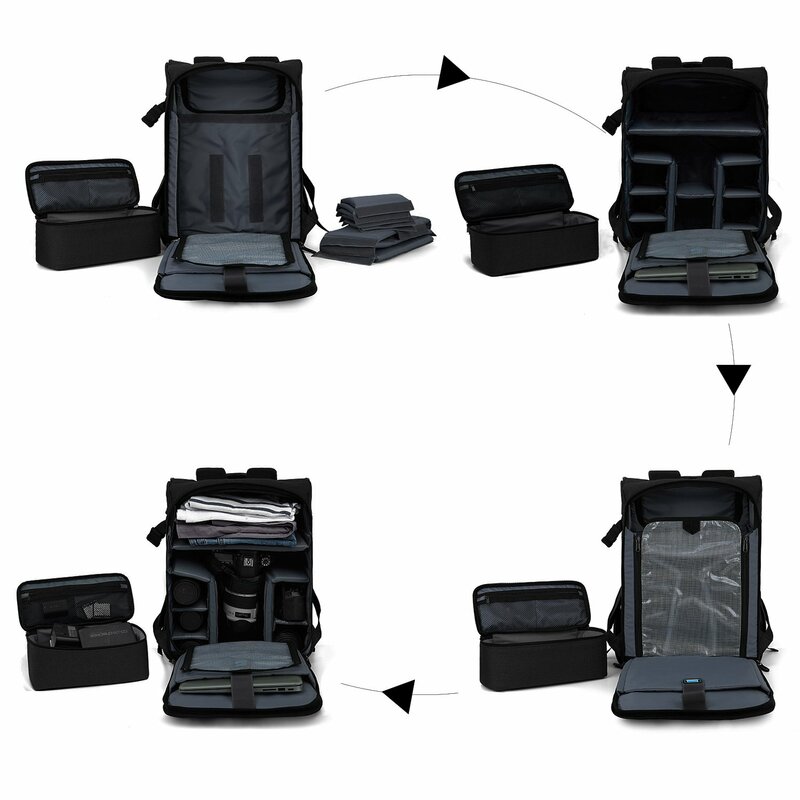 BAGSMART has built their brand on a variety of different organizers for travel and carry. They have some excellent experience in designing well-conceived, clever ways of sorting and carrying equipment – from gear and cables to jewelry. 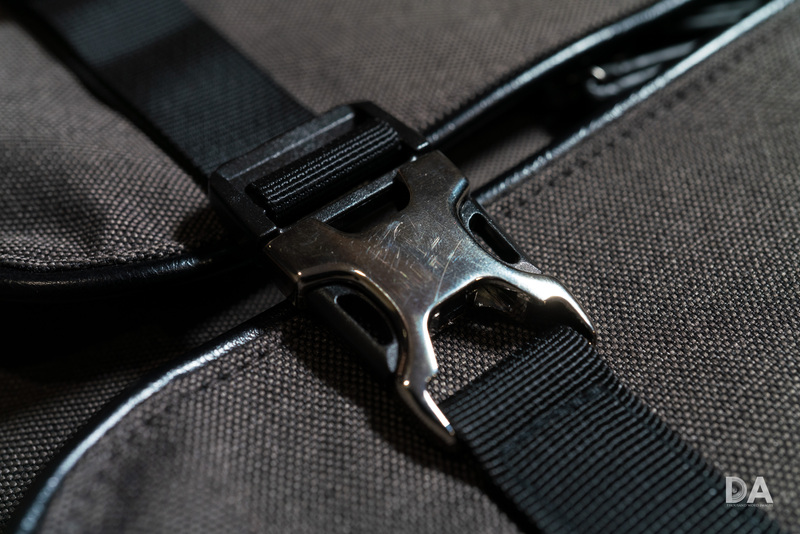 A lot of that ingenuity goes into the Rücken, which hits all of the basics and gives you some modular choices for how you sort your backpack. 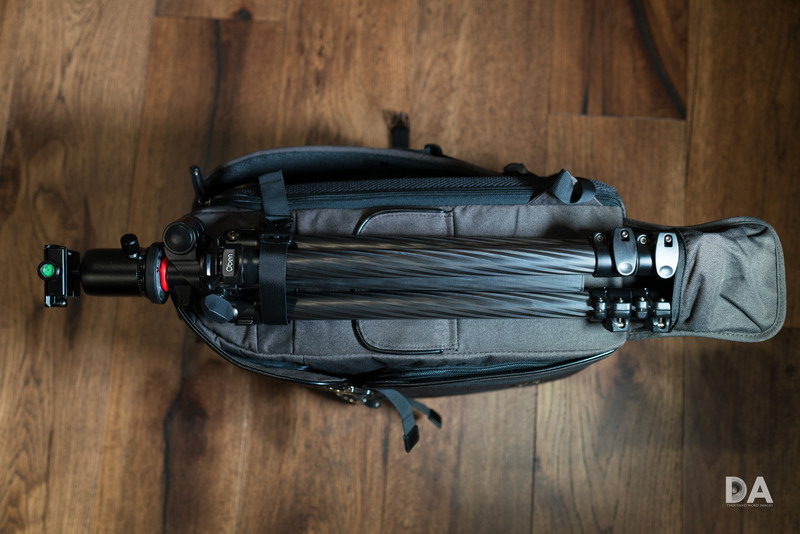 One side, for example, has a flap that swings down with a pouch to put the feet of your tripod into with a strap further up the bag that allows you to put your tripod on the side of the bag, but in such a way that the weight is more evenly distributed, with roughly equal portions of a full-size tripod below and above the length of the backpack. The materials of the bag are nylon with leather accents. The nylon material is water-resistant under lighter weather conditions, but there is also a full rain hood included in a pouch underneath the bag. That rain hood stays attached so that it won’t get lost. The sleek outer design is somewhat reminiscent of the much more expensive Peak Design bags, and I think the overall look of the bag is sleek and stylish. It looks like a premium bag. The dimensions of the bag are 17.3″ (44cm) in height x 12.5″ (32cm) in width x 6.2″ (16cm) in depth. It’s large enough to carry a fair amount of gear – I had a Sony a7R3 (with grip and attached lens) plus a Fuji X-T3 (with grip extender and attached lens) along with 5 additional lenses packed in the bag in the photography portion of the bag along with a laptop up to 15.6″. 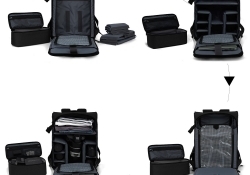 There are a couple of smaller compartments on the front of the bag where one can store accessories, a phone, and even a small tablet like an iPad mini. The design of the bag means that nothing too bulky can be crammed in there, though. There is also access to the top of the bag underneath the top flap, where there is an included smaller case where one could store photography accessories or perhaps something else like toiletries. This small bag can be easily removed and matches the main bag (I chose the brown color rather than the black in my review backpack). One could choose to use that space for something different (like clothes) as well, and could even create more space there by re-configuring the photography gear portion. The only place I see where their is potential for premature wear is on the finish of the metal buckles at the front of the bag, that, while stylish in their chrome finish, were already showing scratches after my review period. The design of the Rücken is that the photography gear is primarily accessed with bag face down. 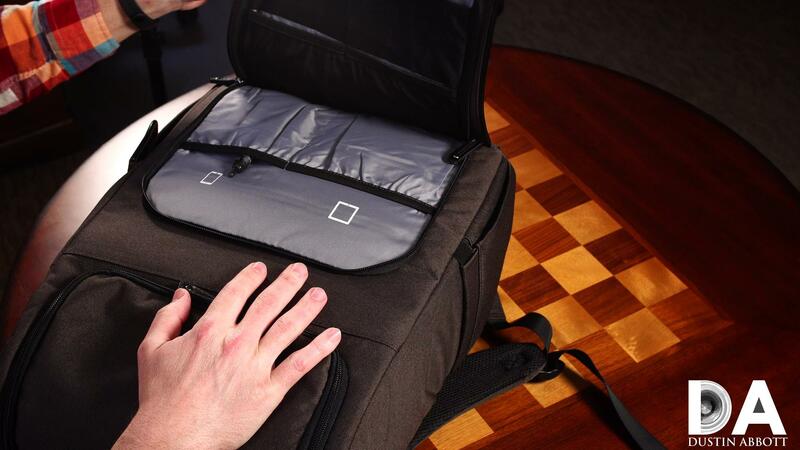 It is this attribute that makes the bag both secure and also a little harder to access on the fly. It is secure because no thief will be able to get at your gear while you are wearing it, as they would have to literally come in through your back! 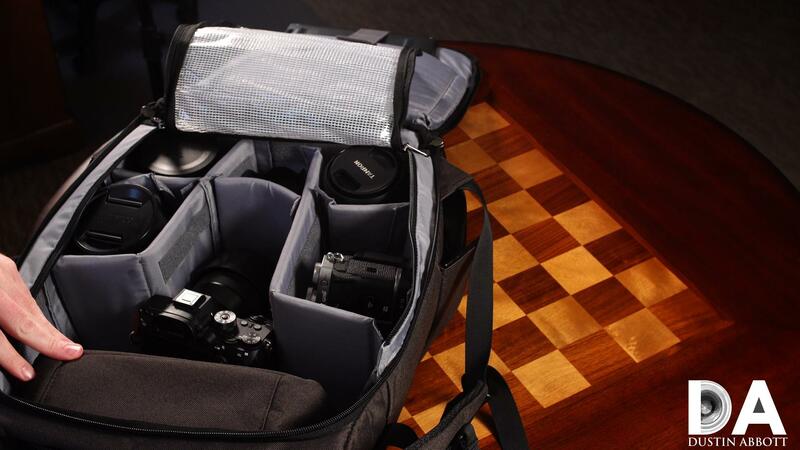 The photography portion is accessed by opening the back of the bag, unzipping the shield that keeps the gear in place, and accessing the gear in the padded dividers beneath. 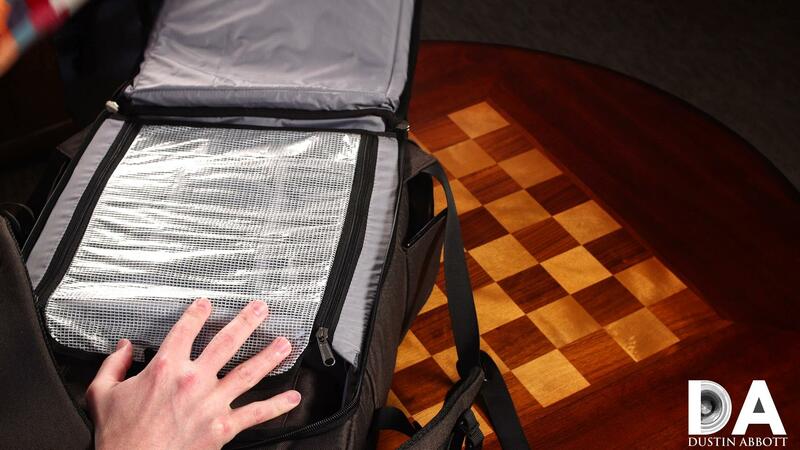 You can also access the included smaller bag or whatever you packed in the top of the bag from the back as well. The interior divider portion is easily configurable in a variety of ways as the padded dividers attach via Velcro to a number of attach points in the interior of the bag. You can pack quite an amount of gear into that space, and, if you want to carry a DSLR with a larger lens attached, you could cheat up into the upper space more. It’s a nicely versatile space. So, as I noted above, this approach is great if you value protection and plan to access your gear more deliberately, but if you are looking to access gear on the fly I prefer my Peak Design EveryDay bags. How about wearing the backpack? 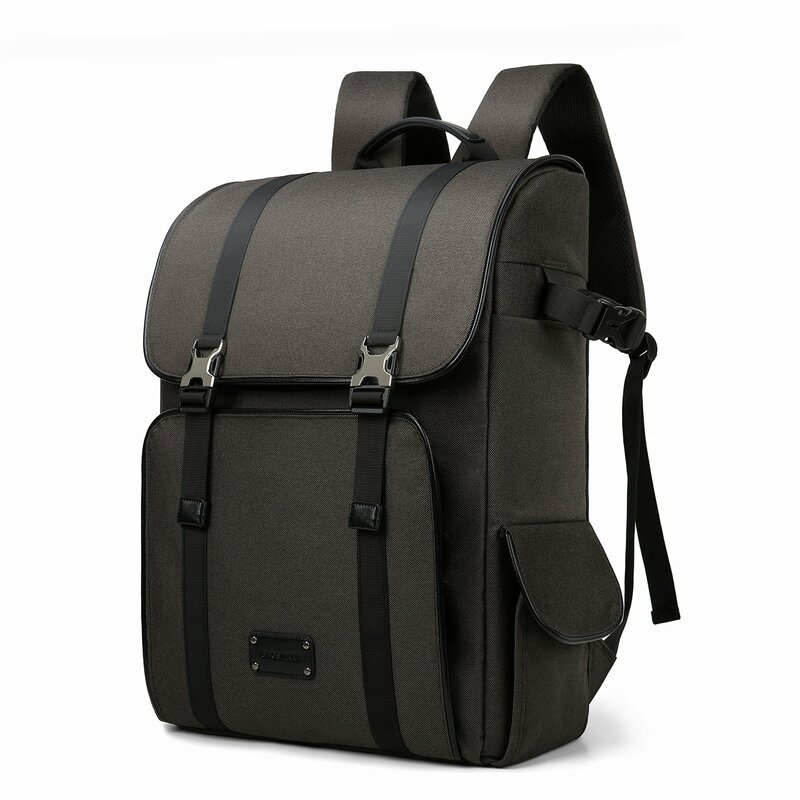 The Rücken gets good marks here due to excellent padding on both the straps and the rear of the backpack. 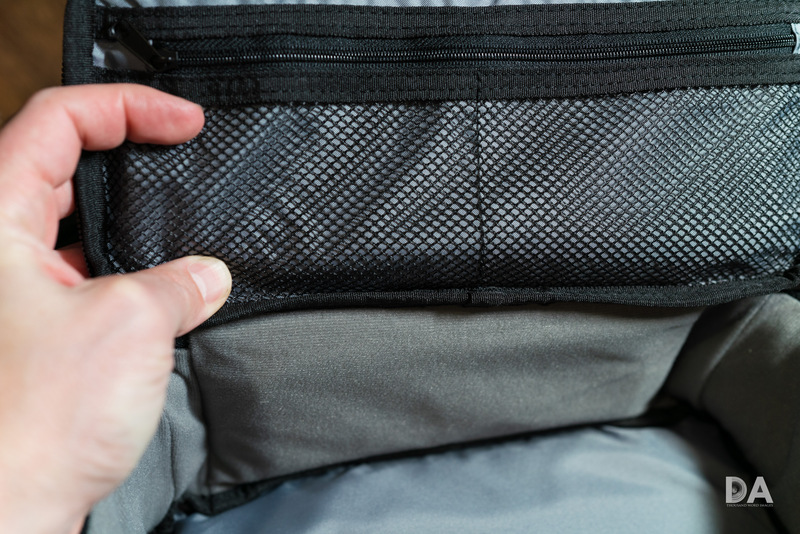 Also helpful is that there is a breathable mesh on the top layer than helps keep everything from getting too sweaty when carrying. I found the Rücken to be comfortable even with a fair amount of weight in it (I weighed the bag with my gear in on a luggage scale and found it to be around 20 pounds). All in all, if the design philosophy of the BAGSMART Rücken fits your needs, I think you will be pleased with the actual bag itself. It’s nicely made, stylish, and functional. What more can you ask for?